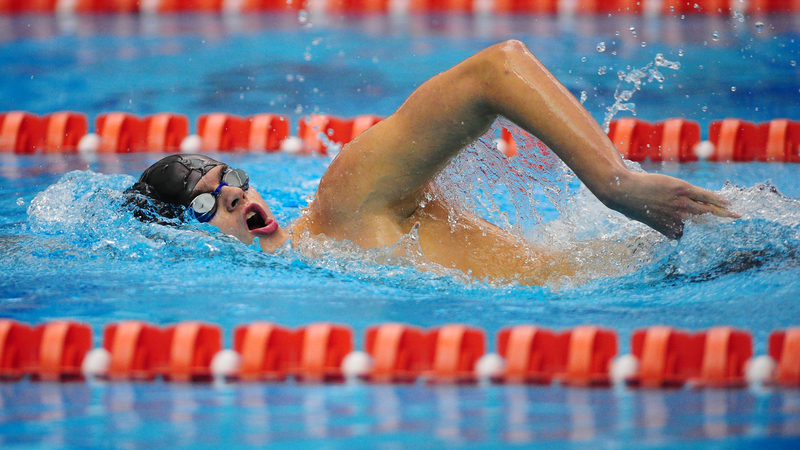 Men’s Swimming Wins Invitational for Second Straight Year | The Gettysburgian. The Gettysburg College men’s swimming team put on a clinic at their home invitational, winning it for the second year in a row. The team put up four wins in the morning session and swept the evening session with wins in all five events. The team was able to win 14 of the 18 total races over the two-day match, putting up 1,087 points. Second place University of Mary Washington managed to put up 895 points, nearly 200 points behind Gettysburg. One of the more interesting match-ups came in the opening race of the morning session, where sophomore Jack Freeman raced his twin brother, Will Freeman of Dickinson. They lined up next to each other and got off to a fast start. Will had the edge going into the last 100 yards of the 400, but Jack finished strong and edged out his brother by 0.13 second. Sophomore Oliver Yancey had a pair of individual wins, while also helping the 200-free relay team to a victory as well. He posted PRs in both of his individual races in the 100 breaststroke and 50 freestyle. His times also marked the fourth and eighth highest times in program history for the events, respectively. One day after breaking the two-decade old record in the 200-backstroke, sophomore Jack Edelson won the 200 IM with a time of 1:55.69, which is good enough for fourth all-time in program history for that event. “I think it’s awesome that the underclassmen– the freshmen and sophomores– are really stepping it up, in terms of what I’ve seen in past years. Usually it’s the juniors and seniors that are at that advanced level,” said Nieves. The only race that Edelson was unable to win was the 100-butterfly, where he finished second with a time of 51.24. The Bullets crushed their opponents in the 500-free race, with sophomore Duncan Proxmire, junior Josh Parker, and first-year CJ Hewitt. Hewitt gave the team a good lead in the beginning before the beginning before losing the lead to Parker, and Proxmire gained the lead in the last 25 yards, earning the victory. The Bullet’s final victory came in the 400-medley relay after Mary Washington’s top team suffered a disqualification. This was the final action for the men’s swimming team for a while, as their next match-up is against Mary Washington on January 26 at 1 pm, over a month from now. They will also travel to Barbados in early January for a training trip.